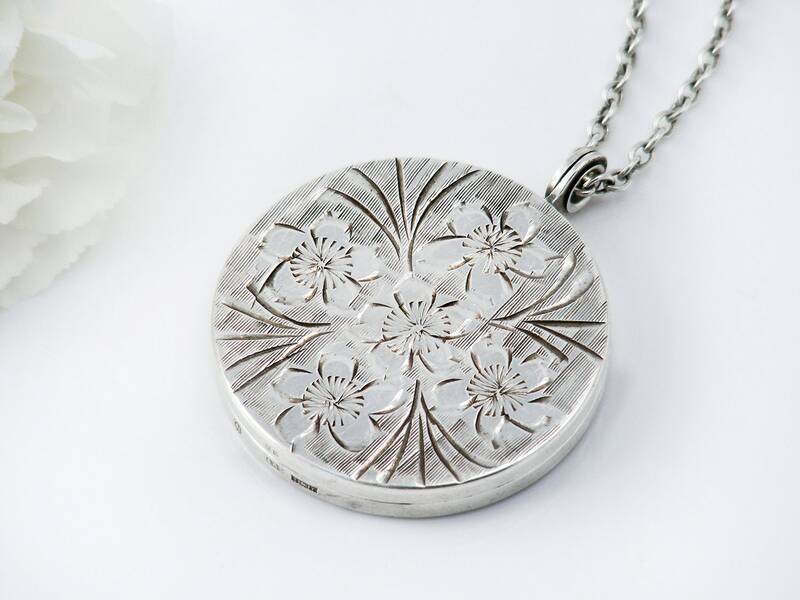 A vintage English sterling silver locket from 1973 with engraved Forget-Me-Not flowers to the front. A nice quality piece - smooth, well weighted and lovely to handle. 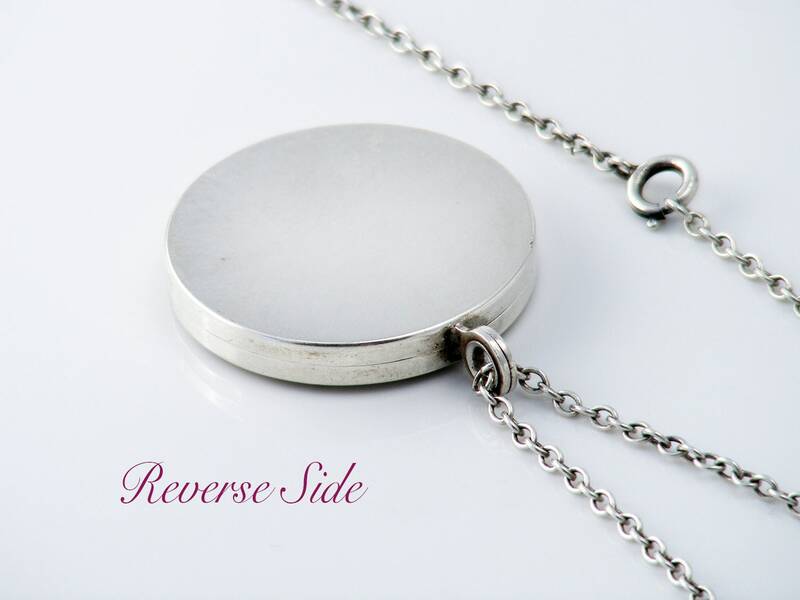 The chain on the locket passes through an interesting hinge that also serves as a secure suspension bail. Sterling Silver with full hallmarks to the lower edge for sterling silver, Birmingham England, the year 1973 and the maker's mark 'B&S'. The interior photo rims on this piece are split so that they can be easily removed and then cleverly 'sprung' back into position. 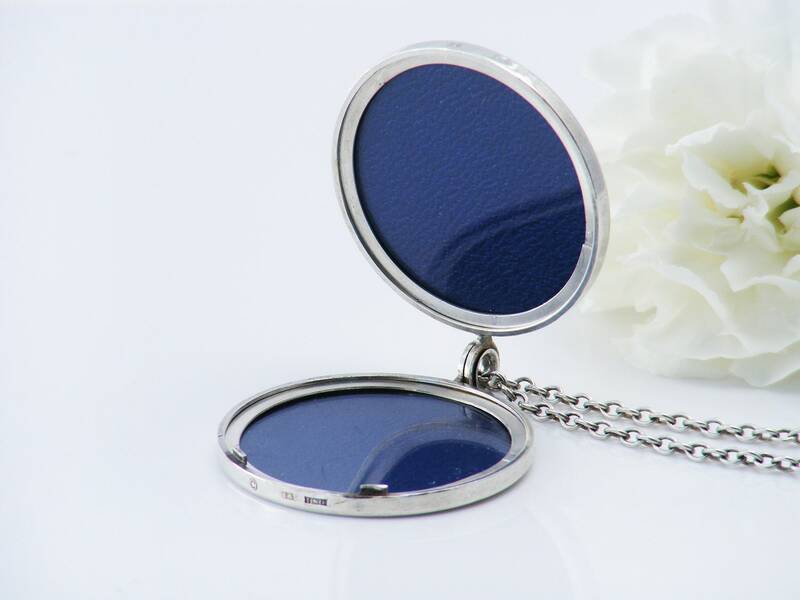 There are two retainer rims on the inside with plastic covers and original royal blue backing papers. 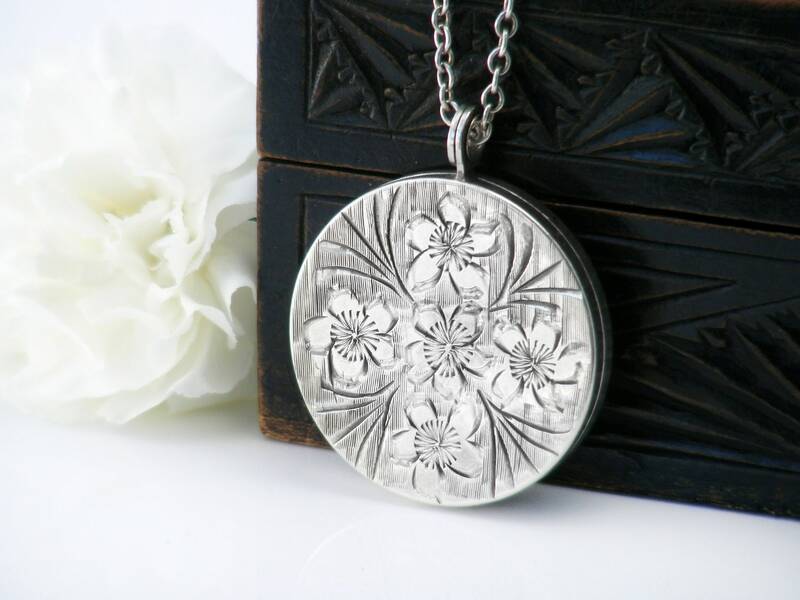 A larger size locket, 1.3 inches or 33mm diameter and 5 mm in thickness. 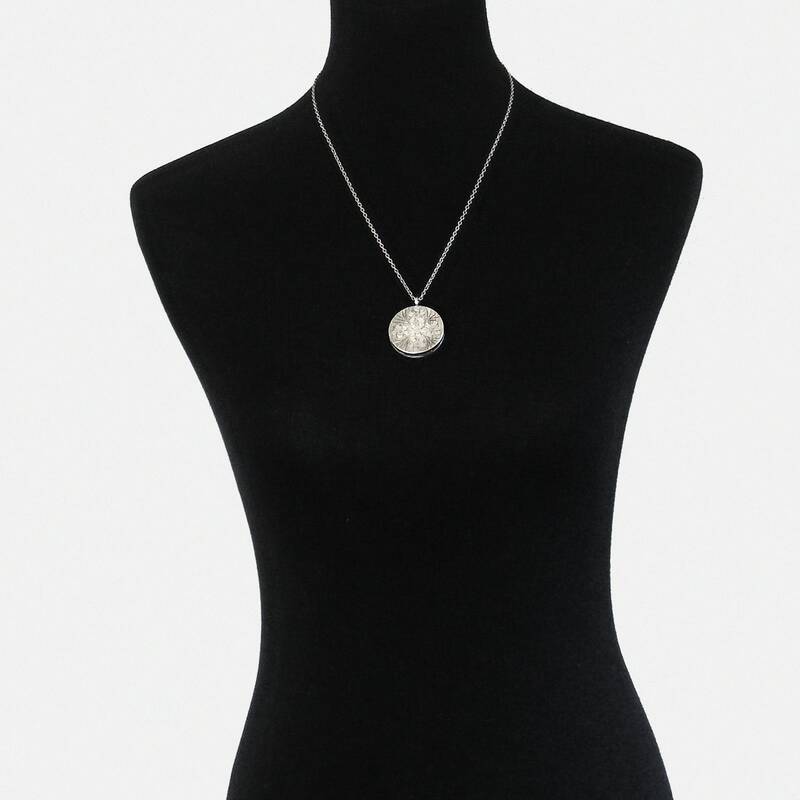 The vintage chain was found with the locket and is inch 22 inches or 56cm long, stamped 'STERLING' to the clasp. Shown on a life size torso in image #4. Condition: Very, very good. Well looked after with only minimal wear to the back. Closure and hinge are working as they should. 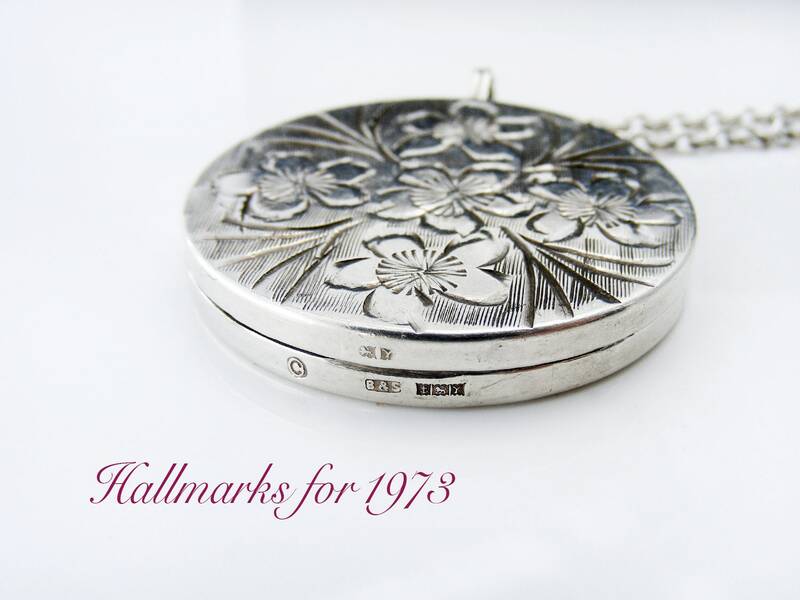 The 1970s produced some very good quality English lockets. 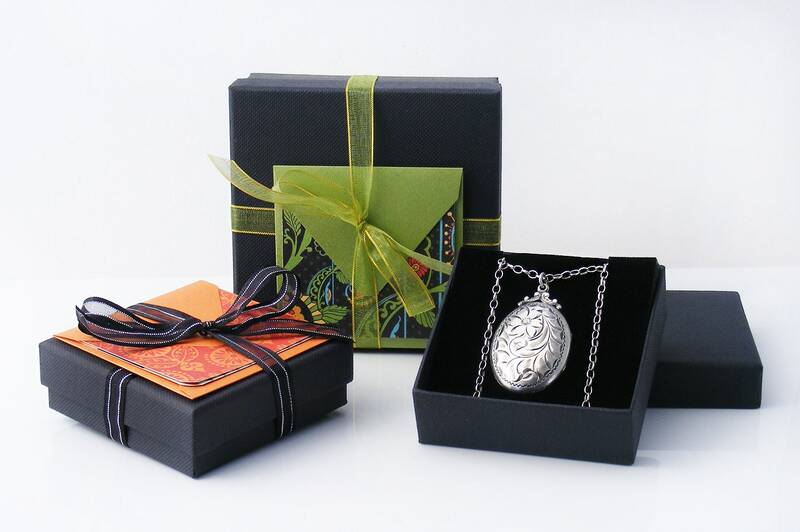 Nicely designed, well made and very strong, they have become heirloom pieces.